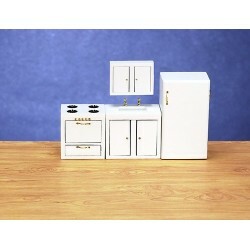 Redecorate and redesign your dollhouse with this KITCHEN SET/6/WHITE/CS. Your decor and collection of miniatures will be taken to another level of fabulosity. 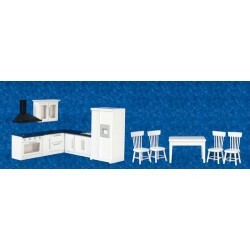 You will love this 4pc Modern Kitchen/wh as it complements your other miniature dollhouse furnishings. Now is the time to design a great new look! 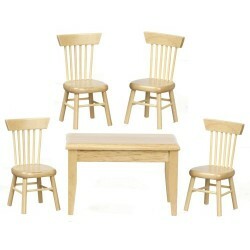 Adding this Table Chairs Set 5pc Oak to your miniature collection is just what you need to make your dollhouse a home, and showcase your fabulous taste. 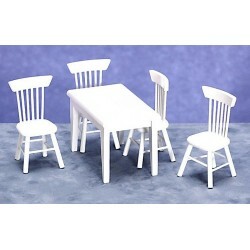 You will love this 5pc Table/chair Set/w as it complements your other miniature dollhouse furnishings. Now is the time to design a great new look! 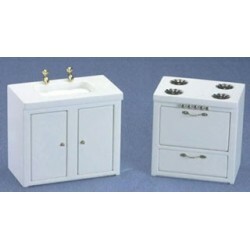 Adding this White Stove & Sink to your miniature collection is just what you need to make your dollhouse a home, and showcase your fabulous taste. 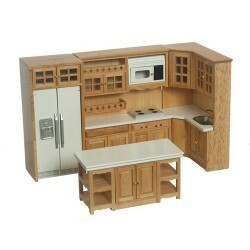 You will love this Modern Kitchen Set 4pc Oak as it complements your other miniature dollhouse furnishings. Now is the time to design a great new look! 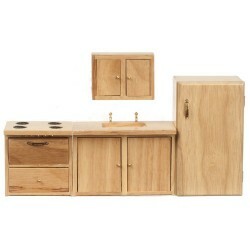 Enhance your dollhouse collection with this 4pc Modern Kitchen/oak/cs. Added to your other dollhouse miniatures, it is a complement for a variety of styles and tastes. 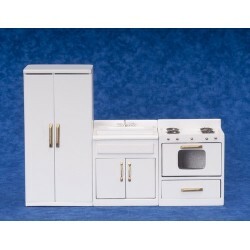 You will love this Appliance Set/3/white as it complements your other miniature dollhouse furnishings. Now is the time to design a great new look! 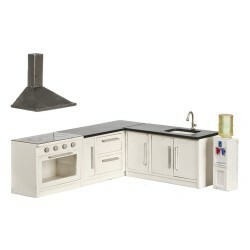 Adding this Kitchen Set/11/wh/bk/cb to your miniature collection is just what you need to make your dollhouse a home, and showcase your fabulous taste. 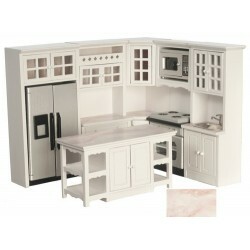 You will love this Kitchen Set/8/white/marbl as it complements your other miniature dollhouse furnishings. Now is the time to design a great new look! 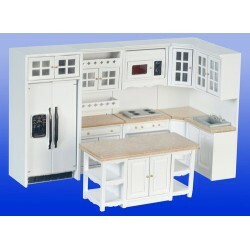 Adding this Kitchen Set/8/cream to your miniature collection is just what you need to make your dollhouse a home, and showcase your fabulous taste. 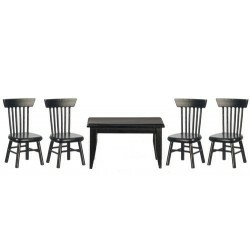 You will love this Table Chair Set 5pc Black as it complements your other miniature dollhouse furnishings. Now is the time to design a great new look! 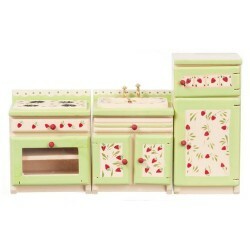 Enhance your dollhouse collection with this Strawberry Appl.set/3. Added to your other dollhouse miniatures, it is a complement for a variety of styles and tastes. 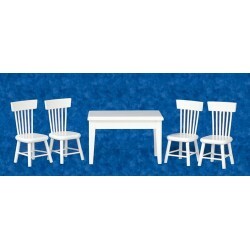 You will love this Table Chairs Set 5pc White as it complements your other miniature dollhouse furnishings. Now is the time to design a great new look! Adding this Kitchen Set/8/Walnut/cb to your miniature collection is just what you need to make your dollhouse a home, and showcase your fabulous taste. 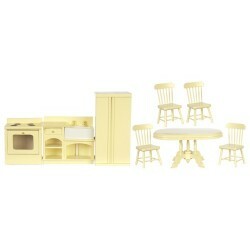 You will love this Kitchen Set 5pc White as it complements your other miniature dollhouse furnishings. Now is the time to design a great new look! 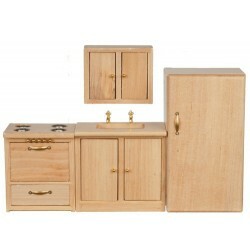 Adding this Kitchen Set/8/cb/oak to your miniature collection is just what you need to make your dollhouse a home, and showcase your fabulous taste. 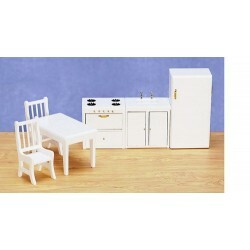 Spruce up your dollhouse with this miniature Kitchen Set 8pc White & Marble. 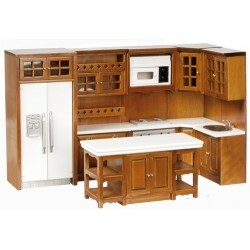 We have many miniature Kitchen Setss for that finishing touch.